The following questions are from New South Wales strata lot owners asking about reimbursements for repairs required due to common property defects. Thank you to Leanne Habib, Premium Strata for providing the following responses. Question: Due to a common property defect, my tiles were damaged in an area on my verandah. As the tiles could not be matched, the whole space must be retiled. Should the OC pay for all work? My veranda incorporates a steel post which structurally supports the roof above. The post was defective in that it had no ‘weep holes’ to allow condensation to flow out. The water resulting inside the post eventually rusted the base of the post and, destabilised the tiles and tile bed. In fixing this common property defect, the tiles could not be matched therefore the veranda had to be retiled. The Strata management advised that this was not their responsibility even though the damage was consequential to the defective pipe and only required replacement due to damage caused by the common property defect. The strata manager said that they may be responsible for the portion of the tiles that were damaged by the pipe but not the whole retiling job. I note again that the tiles could not be matched so there was no alternative other than full replacement. Can you advise my rights to recover costs? Answer: There is a strata titles case very similar to yours. There is a strata titles case concerning a common property defect (Denning v The Owners – Strata Plan No. 11318  SA/99/038) which states that the duty of the Owners Corporation to repair tiles on a balcony, in a context similar to yours, was, either to match new tiles as closely as possible in appearance and value to the existing tiles so as not to detract from the appearance or value of the lot OR in case very similar tiles were not able to be sourced, then the owners corporation would have to retile the whole balcony floor. Question: The floor in a lot’s kitchen has to be repaired because of concrete cancer. The lot owner now wants the owners corporation to pay for a new kitchen. Who is responsible for a kitchen in a unit? The floor in a lot’s kitchen has to be repaired due to common property defects, specifically because of concrete cancer. The lot owner now wants the owners corporation to pay for a new kitchen. The original kitchen was 30 years old! Where do we stand? Answer: The Owners Corporation would need to address concrete cancer and then reinstate the kitchen with like for like. It sounds like the kitchen is original. Subject to any by-laws applicable to the scheme and any notations on the strata plan, the general position is that the floor tiles, any membrane and the structure of the concrete slab are all common property, and, therefore, the responsibility of the Owners Corporation. The Owners Corporation would need to address concrete cancer and then reinstate the kitchen with like for like. Any upgrade or superior finishes would be at the cost of the individual lot owner. Question: One lot owner has put in a claim for over $6000 from the owner’s corporation for bathroom renovations. 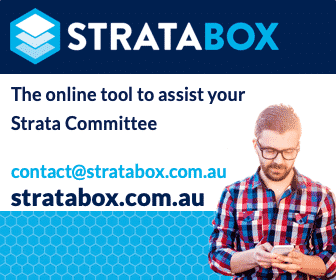 What are the responsibilities of Strata Committee members in relation to maintenance work? One lot owner has put in a claim for over $6000 from the owner’s corporation for bathroom renovations. Is this allowed? Who has the right to view the bathroom in question? All lot owners, or just the Strata Committee members? Answer: If the owner alleges the renovations were required due to common property defects, then such defects should have been notified to the owners corporation. Bathroom renovations require a by-law under the legislation – which the owner appears not to have obtained. If the owner alleges the renovations were required due to common property defects, then such defects should have been notified to the owners corporation. The owners corporation should not be liable to foot the bill unless there is compelling evidence of a defect in the common property necessitating a full bathroom renovation. This does not seem to be the case. You should seek legal advice on this one. Before you can access the lot, you will need the relevant owner’s consent. Question: A lot owner wants reimbursement for repairs required due to common property defects, although they did not follow the correct process. Should the Owners Corporation appease this lot owner? We had a motion passed after a discussion held at our last years AGM. If an owner authorises work on common property and bypasses the Strata Committee and Strata Manager then the Owners Corporation will not reimburse the owner for such works. All requests for maintenance must be channelled through the Strata Committee and the Strata Manager who will then issue a work order to a certified contractor. This was carried by the Owners Corporation. Since this was passed at the last AGM, we had an owner get work done on her lot. The work was necessary due to a common property defect and was carried out by their own contractor. They are now demanding a reimbursement for the cost of the work. Just prior to this claim, another owner wanted the same issue caused by the common property defect repaired. They requested the issue to be repaired through the strata manager and after confirming it was strata responsibility, the job was done at strata’s costs. This owner followed the correct process, as per the motion. The owner who has not followed the process and has had the work done outside of this motion is causing all kind of demands because the compliant lot owner was compensated by strata. We passed this motion because we have previously had owners being reimbursed at a later date for works that have not been channelled through the strata manager and strata committee. Should the strata committee go against a motion passed at an AGM by the Owners Corporation to appease this owner? Answer: We would not entertain reimbursement until such time as the owner demonstrated actual costs, the qualifications of the workers, the necessity for the works, the insurances/warranties obtained. This is a difficult question because the motion passed implies that an owner has authority to issue work orders for work on the common property (which they do not) but if they do so, they will not be reimbursed. While we understand this was intended to dissuade lot owners from by-passing the proper channels for common property repairs, Section 111 clearly states that owners must not carry out work on the common property without the proper approvals. Further, Section 126 gives the Tribunal powers to order an Owners Corporation to consent to common property repair works carried out by an owner and which directly affects the owner’s lot. The concern for the Owners Corporation is that where a lot owner carries out the work, the Owners Corporation does not obtain the benefit of any warranties for works carried out. Also, it is not aware of the qualifications of the contractor carrying out works on the common property and there is a possibility that the insurances of the Owners Corporation may have been compromised. All that said, we cannot give you legal advice. However, we are of the view that the by-law is confusing and could be better drafted. Ultimately, and because of the strict liability of the Owners Corporation to properly repair and maintain the common property, the owner could make application to NSW Civil & Administrative Tribunal and recover from the Owners Corporation damages for the Owners Corporation’s breach of statutory duty Section 106 (5). Question: Who is Responsible for Sanding Polishing Floorboards? I wonder if you can clarify a strata question that is very grey with regards to my floorboards. Our building in Sydney NSW was completed on the year 2000. Each townhouse has a section of floorboards in the lounge room. Our Strata manager says the floorboards are not common property and are the owners responsibility. This contradicts the following – last year we had some rectification works due to common property defects relating to waterproofing and some of the townhouses did have some water damage to their floorboards and the strata paid for the repairs to the floorboards. When I asked the strata manager about sanding polishing floorboards, they said NO as these are the owner’s responsibility. When I asked the Executive Committee, the chairperson said that because the other units had damage caused by the reification works of the common property defects, the owners corporation had to pay for them. I find this inequitable and am really confused. What do I do? It is not uncommon for the Owners Corporation to repair lot property resulting from damage caused by common property defects. Therefore, whilst the flooring may not be common property, the Owners Corporation would still be responsible to repair flooring where their property has caused the damage. How the timber flooring is installed, is the flooring attached to the common property in any way, i.e. screwed, glued to the floor slab. In summary, if the flooring was installed at the time of construction, has not been altered since by an individual owner(s) and is affixed to the common property floor slab within your lot, and there is no special by law in place to determine who is responsible, the flooring will be deemed to be common property and the Owners Corporation would be responsible to repair and maintain. Please note there is an argument excluding the polish/lacquer, which is lot owner responsibility as it is our view that the polish sits within your lot space. It is the upper surface of the floor and the starting point of your cubic airspace in as much as you own the painted surface of the common property ceiling in your lot. Therefore, in practice, while the Owners Corporation is responsible to repair and maintain the floorboards, any cost for application of polish would be payable by you. In conclusion, further assessment of the need for re-sanding will assist in determining who’s proper responsibility the polish is, as there are alternate arguable views regarding the responsibility to repolish the flooring. This post appears in Strata News #211. NSW: I want to do work to my lot. Do I need a by-law for that? The Age of Concrete Cancer: Can Concrete Cancer Be Fixed?